Posted by Kerri Demski on Wednesday, February 13th, 2013 at 7:10pm. Perspective homebuyers continue to disagree with sellers on the issue of price. Despite the market being quite active, this is leading to reduced sales and property values continue to be relatively stable, considering. 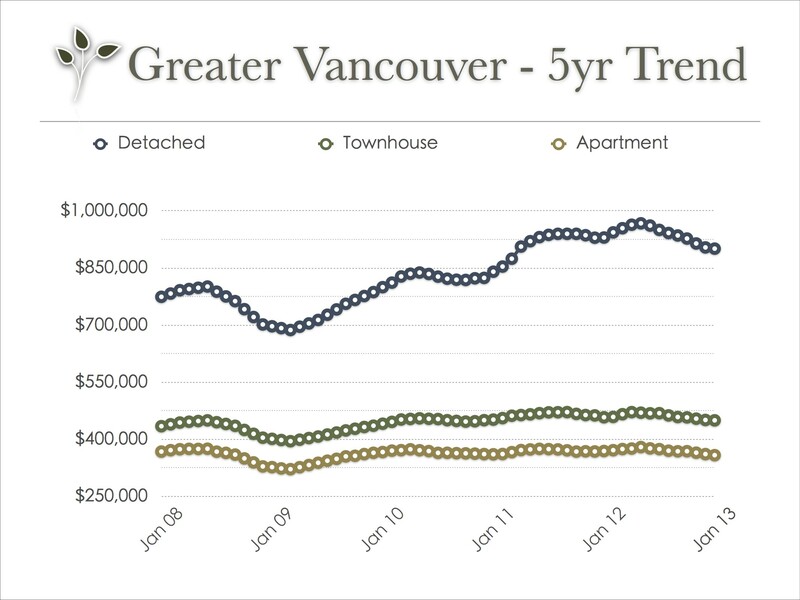 The first month of 2013 brought us similar market conditions to what we saw in greater Vancouver throughout the last half of 2012. There were 1351 homes sold on the region’s MLS in January. That’s a 14% decline compared to January 2012 but an 18% increase from last month. The number of listings in January 2013 was also down. They were 11% below January 2012. We are finding that some home sellers are opting to remove their properties from the market rather than settle for a price it doesn’t meet their expectations. We are also finding that sellers, who are realistic about the current market conditions, are coming to us for plenty of advice. These sellers want to guarantee their property hits the SOLD column but they still want a fair price. Contact us for more information on how to get your home sold while earning top dollar in today's market. 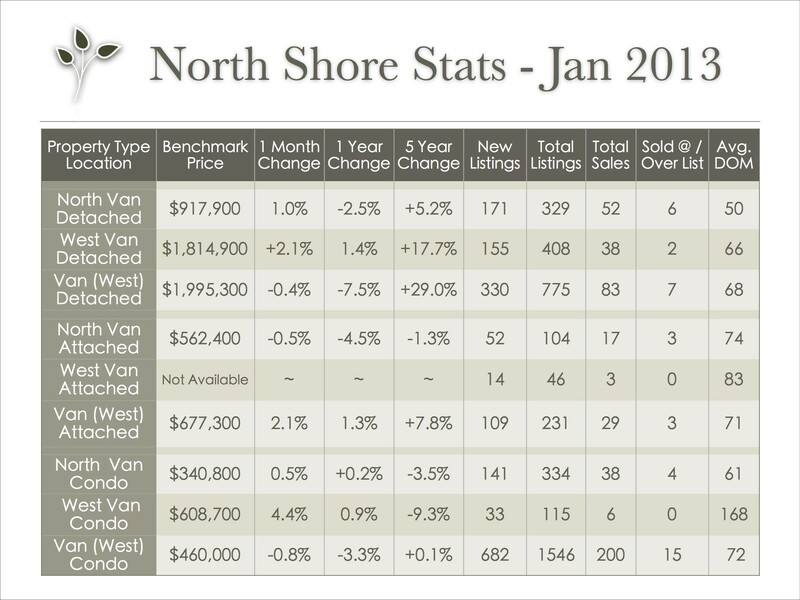 Stats are provided by the Real Estate Board of Greater Vancouver; feel free to view the complete REBGV Stats Package for January, 2013 on their website.